Physically stresses your body every time you work out, which is what makes your muscles and organs stronger. However, prolonged stress can have detrimental effects on our body. The hypothalamus in brain tells adrenal glands to release stress hormones adrenaline & cortisol, which increases heart rate and sends blood rushing to areas that need it most. 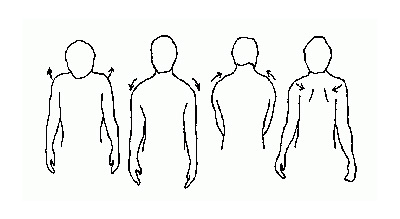 (For example our muscles, heart, and other important organs.) When that fear is gone, the hypothalamus should tell all systems to go back to normal. However, when stress is continued, that system doesn’t shut down and release and response continues. Repeated high heart rate affects our blood pressure, and heart muscle. Prolonged increase in heart rate and breathing rate to deliver oxygenated blood to body. Prolonged constriction of blood vessels leads to an increase in blood pressure which over time increases risk for stroke and heart attack. Under stress, our liver produces extra blood sugar (glucose) to boost energy. Chronic over production increases risk of developing type 2 diabetes. Hormones released also upset digestive system, increasing stomach acid which can lead to heartburn and even ulcers. Stress can affect way food moves through the body causing diarrhea or constipation. 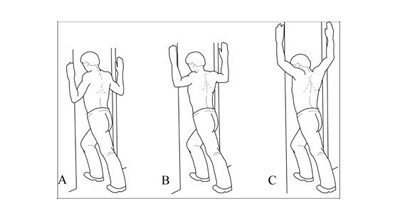 Prolonged periods without these muscles relaxing can cause headaches, back and shoulder pain and even some muscle imbalances. Short term stress can cause men to produce more testosterone, however this effect doesn’t last. With prolonged stress, testosterone levels drop and interfere with sperm production, causing erectile dysfunction or impotence. Stress can also lead to infection of male reproductive organs. For women, stress can affect their menstrual cycle causing it to become irregular, heavier, and or more painful. It can also magnify the physical symptoms of menopause. Stress stimulates our immune system, which in the short term is great! Over time, however, the immune system becomes weak & reduces body’s responsiveness to foreign invaders increasing risk for illness and infection. When you do become ill or injured, the time it takes to recover Increases because your system is too weak to fight the infection. Physical Activity: Produces endorphins which are our feel good hormones. It also acts as active meditation to distract your mind from your stressors and focus on the movement of your body. Meditation/yoga: Offers you some time to re-center and reflect without distractions giving your body a break from the stresses in our lives and allowing our systems to relax. Yoga also produces those feel good endorphins. Hobbies: Gives us a distraction from what may be bothering us or from the responsibilities we are overwhelmed with. Without realizing it, when we start to enjoy ourselves, our body’s naturally relax giving our systems as much needed break. Socializing with family and friends: Gives us a chance to talk about what may be bothering us, or again offering distraction and naturally letting us relax in a comfortable environment. Take time for you! Do something that you enjoy just for yourself. It was a common thought that if you ate fat, you got fat. But the facts about dietary fats have become clearer and the differences between "good fats" versus "bad fats" much less of a mystery. Here's what you need to know about the third misunderstood macronutrient: dietary fats. For all intents and purposes, dietary fats are broken down into "good fats" and "bad fats" with the body requiring little to none of the bad fat. Good fats are referred to as unsaturated fat (liquid at room temperature such as olive oil, canola oil and flax oil) versus bad fats which are referred to as saturated fats (solid at room temperature such as butter and margarine). What the human body does with each type of fat is very different and the implications on weight loss and health significantly different as well. So how is it some fat is beneficial to our health and some fat is harmful? Saturated fats basically serve no purpose to our health whatsoever and in fact, are able to alter HDL and LDL levels (not to our benefit) as well as Triglyceride levels thus putting one at higher risk for cardiovascular disease. They provide unnecessary empty calories to the body and provide zero nutritional value. Unsaturated fats provide the same calorie value (9 calories/gram) but have the opposite effect and alter the human lipid profile to our advantage putting us at decreased risk for cardiovascular disease as well as diabetes. There are also some characteristics of these healthy fats that actually aid in metabolism and are beneficial to the metabolism of unwanted body fat. So this disproves the myth that if you eat fat, you get fat. Recent recommendations have been made to decrease the amount of total calories to less than 10% for saturated fat in the diet. So if you're on a 1500 calorie/day diet, this is less than 150 calories daily (16g daily) which is about the equivalent of 1 tbsp of butter. The remainder of your daily fat intake should come from foods rich in healthy fats. But beware! If you're looking to lose weight, too much of a good thing might derail goals and surpassing the recommended amounts of healthy fats can prevent weight loss. If weight loss is the goal, make sure to make a solid plan with portions and grams accounted for so as to not over-consume too much of the good foods, track your intake, measure foods out if you're unsure and stay consistent. Who doesn’t LOVE sleep?! Unfortunately, the majority of us don’t seem to get enough of it for varying reasons and it could be hurting our health. It’s recommended that the average adult gets somewhere between 7 and 9 hours of sleep per night, however, ⅓ of us average less than 6.5 hours per night. Trying to fit everything we need to get done into 24 hours can be tough and leave us feeling groggy, stressed, and actually more unproductive. Fun fact: Guinness Book of World Records says the longest a person went without sleep was 11 days and 25 minutes. And you thought you were tired! Many companies such as Google, NASA, Ben & Jerry’s, Uber, Zappos and Nike all promote and provide an area to rest and nap on the job. They’ve realized that their employees’ alertness, productivity and mood are improved when they practice a more preventative approach to health. (Rumor has it even IronPlate Studios has a place to nap :-p) Here’s to hoping more companies follow suit! Monday, March 11th, is National Napping Day and we encourage you to take advantage for your health! Find a quiet place in the office or hide under your desk and take a 10-20 minute power nap. You can tell your boss we made you do it! Heart disease is still the number one killer for men and women in the US. Luckily, it can mostly be prevented. Our heart is one of the most vital organs in our bodies, it acts as a pump to deliver freshly oxygenated blood to our other organs and muscles. “Did you know that the heart beats approximately 100,000 times a day, over 36 million times in one year and about 2.9 billion times in the lifetime of someone who lives to be 80?” (Exercise physiology for health care professional pg 216) That’s a lot of work for one organ! Which is why it is vital that we do everything we can to make sure it pumps as efficiently as possible. So what are some of the factors we can control to help prevent heart disease and improve our overall heart health? Smoking: Contributes to high blood pressure (hypertension) and injury to the vascular wall of the heart. These injuries create an area for plaque to build up narrowing and hardening the walls of the arteries (atherosclerosis), which further contributes to hypertension. Smoking can also cause diseases in the lungs and over time lead to decrease oxygen levels which overloads the heart causing heart failure. High blood pressure: Our blood pressure reading is expressed in two numbers, usually something like 120/70 (the ideal blood pressure). The top number is our Systolic Pressure (or peak pressure during the pumping phase) and the bottom number is our Diastolic Pressure (pressure measured during the heart filling-or relaxed stage). If these numbers are high, we are diagnosed with high blood pressure. This is a problem because the heart muscle has to continually work against that higher resistance which, over time, stresses our heart muscle. The muscle of the heart wall hypertrophies (gets bigger) and the chamber of the heart (left ventricle) gets smaller and more stiff, so the muscle cannot relax enough during the filling stage. These changes in the heart muscles makes our hearts less efficient at ejecting blood to the rest of our body. Lack of exercise: Sedentary behavior has recently been labeled the “new smoking”. Studies have shown that not engaging in physical activity can be worse of your body than smoking. It is recommended that individuals get 30 minutes of moderate to intense physical activity 5 days/week. 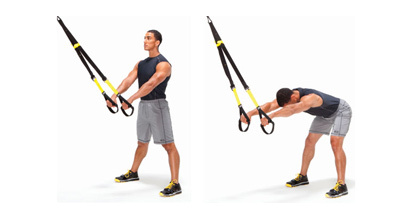 This includes a mix of both resistance and cardiovascular training. With aerobic training. There is a large increase in stroke volume (amount of blood ejected) out of Left ventricular chamber to the rest of the body. The combination of both aerobic and resistance training makes heart stronger and more efficient. A poor ratio of good cholesterol to bad cholesterol can lead to inflammation of the arteries and cause a buildup of plaque in the arteries of our heart and other areas in our body. Diabetes: Over time, diabetes leads to increased atherosclerosis, diabetes related hypertension, increased VLDL and decreased HDL in bloodstream, and obesity. It’s important to know the signs and symptoms of heart disease and to seek immediate medical attention should you or a family member experience any of them. It is also important to know that women’s symptoms can oftentimes present differently than men’s symptoms so there are two lists below. February is the month of love. There’s even a well-known special day set aside for us to show our loved ones how much we care about them, but there’s someone else you should “show the love” to this month (and every other month): YOURSELF! 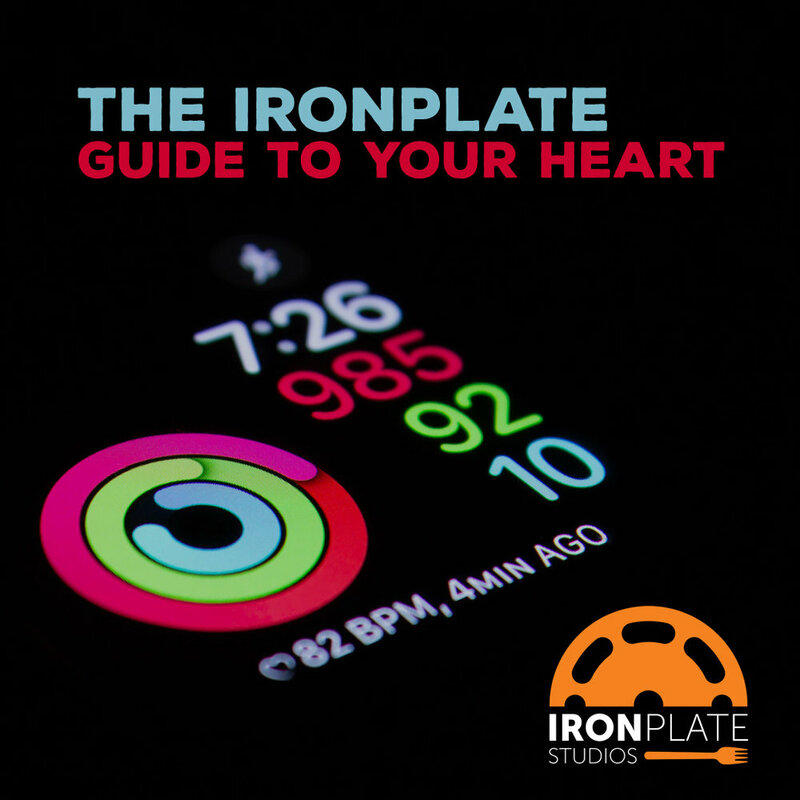 At IronPlate studios, one of our mottos is helping you “become the best version of you there is.” This doesn’t just mean helping you with physical changes to your body: it means helping you from the inside out so you can be happy with your body, mind and spirit to give you the confidence and the drive to accept, face and overcome new challenges. All too often, we focus on our flaws and the things we want to change about ourselves. We overcommit to social engagements and put in long hours at work or at home caring for loved ones. While this can sometimes be beneficial in helping us develop and grow, it can also lead to health problems such as fatigue, anxiety and illness. Even if we want to, we can’t fully give our love and respect to our family, friends, jobs, etc. unless we love and respect ourselves. Those that take time for themselves have a better sense of well-being, confidence and even overall health. Make sure to set aside some time… just for you. - What are some things you like about yourself? - While it’s important to be aware of our weaknesses in order to grow, we often dwell on them and forget what makes us great! Change the way you talk/about yourself. - If you’re constantly making negative comments about yourself or your appearance, soon you’ll start to believe only the negative. - Write your own freestyle or look for one already written with prompting questions. When was the last time you actually accepted a compliment with gratitude instead of coming back with a comment of denial, self-insult, devaluing, looking for more reassurance or transferring the credit to someone else? Set aside some time — no matter how short — for just you. - Exercise session, yoga, meditation, catch up on your favorite book or show, meet up with friends, etc. We often get so busy we forget to embrace and cherish the small things that happen to us each day. Take a couple minutes at the end of each day (could be right before you go to sleep or while you’re in the shower, etc) and reflect on the little things that made you happy that day. Enjoy a massage, mani/pedi, a night out with loved ones, some time alone. Including daily self love and positivity helps us feel confident, refreshed, rejuvenated and able to fully share our love and attention with the ones we care about both on Valentine’s day and every other day of the year. Some people say they’re “addicted to carbs,” while others profess to “not eat carbs after 6pm.” But what are carbohydrates and why are they such a constant source of debate and argument? Carbohydrates are one of the three macronutrients and are the sugars found in starches, dairy, fruit and grains. They are made of of carbon, oxygen and hydrogen and are the body’s preferred source of energy (stored carbs are referred to as glycogen). Where they become tricky is that there are many different types of carbs and how they respond in the body varies depending upon the type. Understanding carbs is also about understanding how they are absorbed and how much the body can hold. Simple carbs are absorbed more rapidly than complex, which in turn, spikes insulin levels. Generally speaking, this is undesirable when looking to lose weight as insulin also promotes the storage of those carbs, and if that fuel tank of glycogen (stored carbohydrate) is full, it can be metabolized into fat. You see, the human body can only store a finite amount of glycogen at any given time, and any spillover essentially gets turned to fat. And as we all know, the fat fuel tank is infinite. All carbs are not bad, but understanding which ones might be better at certain times and understanding portion sizes play a huge role is the key to conquering the carb phobia and making them work for you. Carbs can be helpful in order to fuel workouts and for satiety, but too much of a good thing is not helpful. They also can be useful in acting as a glycemic shuttle for amino acids during the anabolic window (2 hour post-strength bouts) which helps to replenish muscle tissue of glycogen and amino acids for reparation. This helps in the whole quest to increase muscularity and tone. Pair your carbs with a protein - it will slow down the glycemic response. Be mindful of portion sizes of your complex carbs. Fill up on fibrous veggies instead at most meals. Save a high glycemic carb (like a banana) for post-workout along with a protein. It will help drive those amino acids from the protein to muscle cells for quicker, more optimal repair and replenishment. Don’t fear carbs - they can aid and be worked in to any weight loss regimen. They do not need to be avoided. They are not addictive - don’t sweat that you might need carb rehab. For most meals, stick to low glycemic, unrefined complex carbohydrates like brown rice, oats, yams and quinoa. Give up any refined carbs like sugar, soda, baked goods and candy. They serve no purpose. To reiterate, carbohydrates are one of the three macronutrients, along with protein and dietary fats, that are necessary in order to maintain ideal function in the human body. They can aid in any strength and/or weight loss program and can, in fact, be beneficial. Giving up carbs forever is not realistic, so don’t set yourself up for failure. Instead, learn about them, understand the differences and what they do in the body and use then to your advantage. Stay tuned for Truth Series: Dietary Fats coming up on our blog. And always! Email us at info@ironplatestudios.com with any questions. It’s common knowledge that we need to make sure we get enough protein in our diets — especially those of us in the fitness world on a quest to build more muscle and tone — but do we know why we need it? Do we know how much we need in a day? And do we know what foods are rich in protein…? Proteins are one of the three macronutrients which are simply long chains of amino acids that the body requires in order to do a lot of cool things. Think of protein as a long chain, and the amino acids are each link. Those links can be laid out a lot of different ways, therefore, there are a lot of different types of proteins. And I hate to be the bearer of bad news, but building muscle is not on the top of your body’s to-do list when it comes to the distribution and usage of protein. Your body requires those amino acids (the “links”) to also build skin, nails, hormones and enzymes in the body and then if it has some leftover, well, then it will use that overage to help out build those guns you’ve been working on. This is why it’s imperative to take in extra protein when you’re training as compared to your sedentary counterparts. “How much protein is enough?” one might wonder. 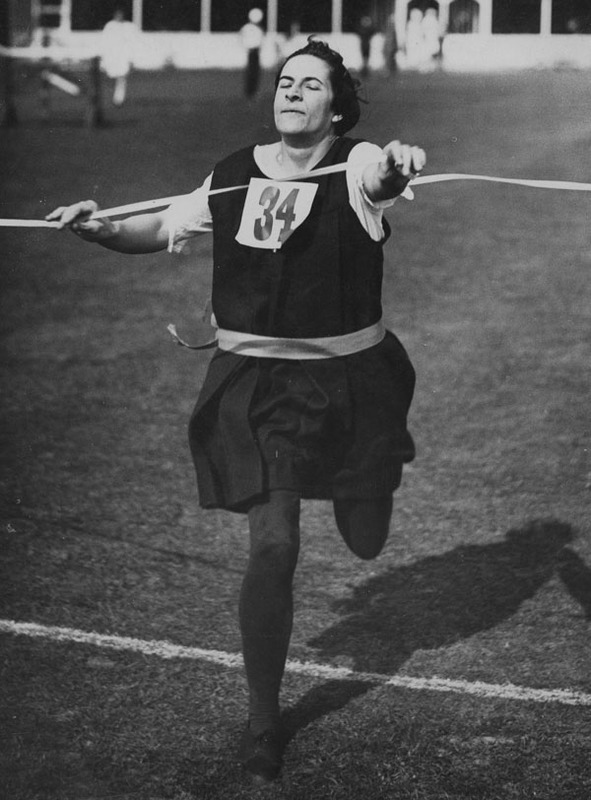 It can be confusing with loads of different recommendations out there and various calculations but according to the Academy of Nutrition and Dietetics (the people who credential Registered Dietitians and Sports Dietitians), for those engaging in higher levels of exercise, a good rule of thumb is 1.2-1.4g/kg bodyweight for endurance athletes and 1.6-1.7g/kg bodyweight for strength athletes. The recommendation for regular non-exercising folks is .6-.8g/kg bodyweight (for comparison purposes). There are other “methods” for calculating needs out there including assuming 1g protein per pound of bodyweight. So in the case of our 5’6 female, that would amount to 140g protein daily. But the issue there is for most people who are not professional athletes and have families and jobs and obligations, that can be a hard number to attain. As a registered dietitian, I would then recommend somewhere around the 100g range for this particular client and see how that goes for a period of time. Make sense? “So that’s just great - I need 100g of protein daily, but what foods do I need to eat?” Proteins are rich in all of your meats, poultry and seafood including flank steak and all red meat, chicken, turkey shrimp, salmon and white fish as well as other animal proteins such as eggs and dairy. But there are other plant-based sources of protein such as beans, tofu (soy protein), seitan (protein from wheat), vegetable and rice protein supplements amongst some others. However, the protein content is not as abundant as in animal protein sources, so combining both sources is always a great idea in order to meet your intake, and maintain variety in the diet. Start the day with eggs, egg whites or overnight oats made with protein powder. Plan all meals around your protein source and build around it. Have a few protein rich snacks such as greek yogurt and cottage cheese on hand for in between meal snacks. Add legumes such as chick peas and lentils to salads. Include variety and experiment with some protein sources you may have not tried like cooking scallops at home or a plant-based protein that you’ve never had (such as tofu). In summary, proteins are one of the three macronutrients along with carbohydrates and dietary fats, that are necessary in order to maintain killer function in the human body. Protein in particular, is needed in order to build muscle and create that lean, toned physique you’ve been working for. It’s very important to understand that all proteins are not created equal, and taking in a variety of different proteins daily, and making sure to have a protein at most meals is super important for your health, bodily function and progress in the gym. 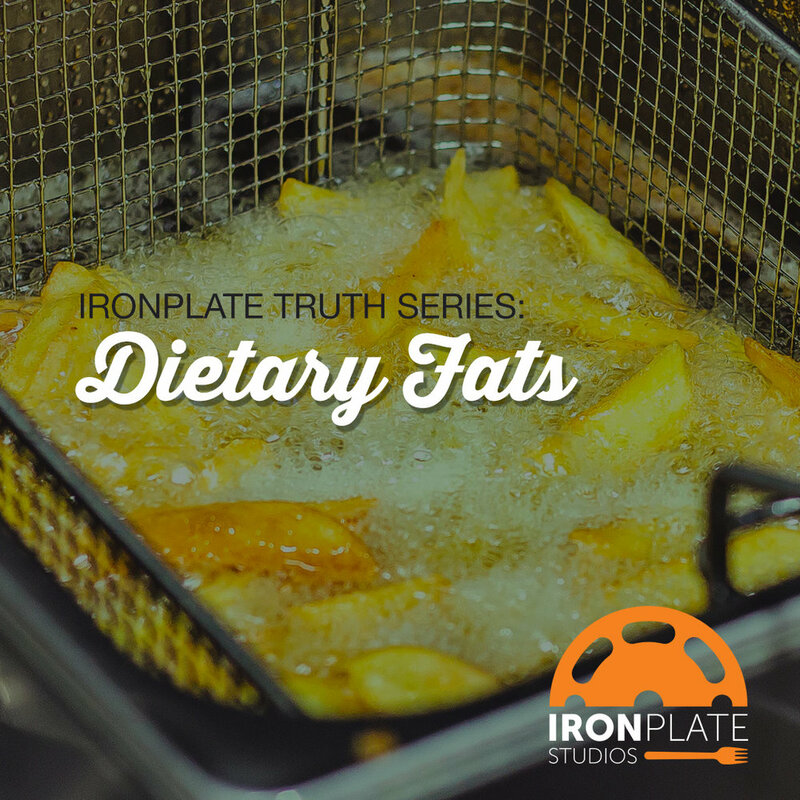 Stay tuned for Truth Series: Carbohydrates as well as Truth Series: Dietary Fats coming up on our blog. And always feel free to email us at info@ironplatestudios.com with any questions! It’s getting colder out, and the promise of warm comfort foods and holidays centered around huge traditional feasts can make us feel all warm and fuzzy inside. Unfortunately, this time of year can be a nightmare for those trying to make healthy dietary changes to their lifestyle. We often find ourselves putting normal dietary habits on pause with the expectation that we’ll get back on track in the New Year. This mentality can seriously sabotage our health and fitness goals. Thanksgiving, a holiday whose entire day is planned around food, can be especially difficult to get through unscathed and can be the gateway to our derailment. Every year the same tips and tricks on what we can do to stay on track through the holiday circles about, but how realistic is it that you’ll follow all of them? It is also hypocritical to suggest my clients follow a huge list of do’s and don’ts and not follow them myself. Hey, I’m human and love this holiday just as much as the next! How strict you have to be on Thanksgiving — and all the ones that closely follow it — really depends on the timeframe of your current goals. If you have a specific and upcoming deadline, then I am sorry to say, you’ll have to be significantly more strict with your Thanksgiving day this year. If you are a little more flexible with your timeline, then the good news is you can relax a bit. One day of indulgence won’t completely throw you off track. The key words here are ONE DAY. Often times Thanksgiving dinner involves more than one meal: the appetizers before dinner, alcohol before, during, and after dinner, and leftovers for days following. This is what really throw us off track and sends us on our downward spiral for the remainder of the holiday season. I’ve compiled a short list of “Dos and Don’ts” that I believe are attainable, allow you to stay on track and allow you to enjoy your Thanksgiving. Do: Make a predetermined plan on what you will eat and/or drink and what you will avoid. Stick with and make peace with those decisions. Whether you limit your portion sizes, or the types of food, or set no limits whatsoever, is all fine. Just make sure those decisions are realistic, won’t make you feel guilty afterwards, and that you have a plan in case you feel yourself veering from those decisions. 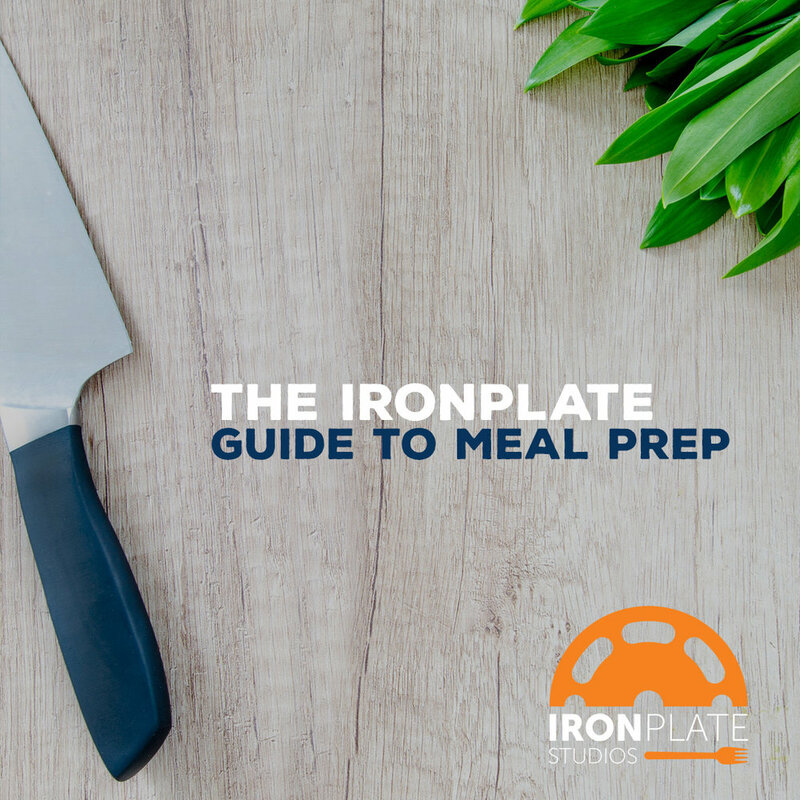 Let your trainers at IronPlate Studios help you navigate and prepare your plan based on your personal goals. Don’t skip earlier meals to “save room” for big dinner. Don’t fill up on pre-meal appetizers. Savor every bite and eat slowly. Take a post-meal walk with your family. Avoid foods you can always eat and enjoy the ones you only get once a year. Get right back on track with your normal routine. Don’t feel guilty. This often leads to more poor decisions. Learn from the way you feel and apply it to your future challenges. Make smart decisions with leftovers. Keep an eye on our Facebook and Instagram pages for healthy leftover recipes. Remember: Listening to your body, and making healthy changes that work for you is a constant learning process. Each success and failure teaches us what we are capable of and where we might need improvement. 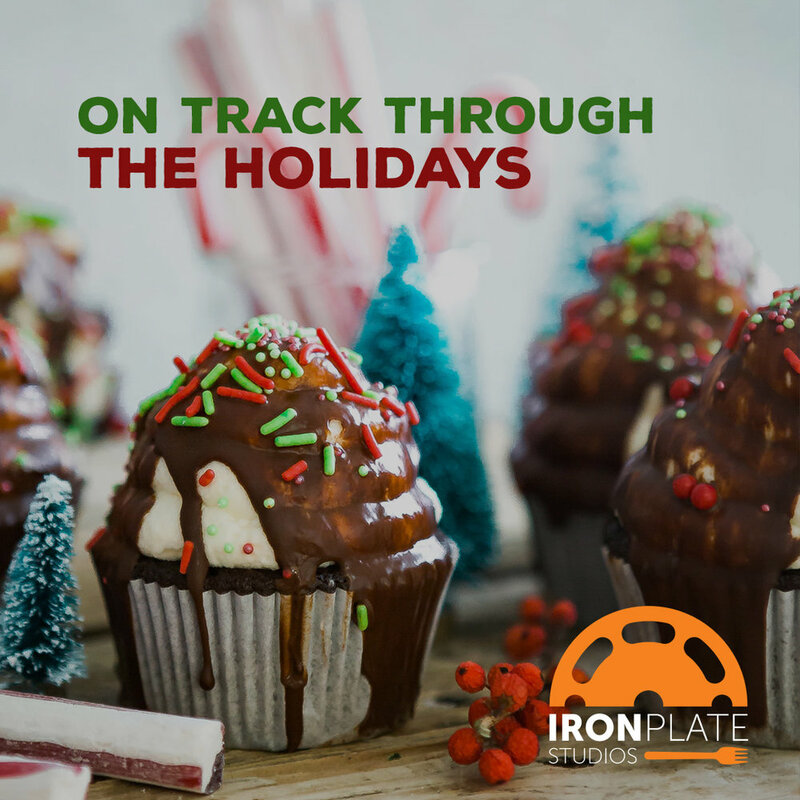 Reach out to your friends at IronPlate Studios to keep you on or get you back on the path to success. Pre-contemplation: The person has no intention to change or take action within the near future. In this stage, people are usually uninformed about the consequences of their behavior or they may have failed at previous attempts to change. They may avoid seeking information that would help them change their behavior. Contemplation: The person intends to change within the next 6 months. He/she is aware of both the positive effects and the negative effects of change. This can cause uncertainty as to which approach to follow and result in procrastination and the inability to make a move to change. This person is not ready for an action program. Preparation: The person plans to take action within the next month. He/she has usually prepared and has a plan of action. Action: The person has made significant modifications in his/her behavior and way of life. Maintenance: The person is not working as hard as the person in the Action mode, but is working to prevent a relapse. The person is confident of continuing to change. Where do you fall? Anyone that seeks out help from a personal trainer or nutritionist is at least in the preparation stage. If you fall into the contemplation stage, you can start your fitness journey but seeking out advice from a personal trainer or nutritionist who will be able to create an attainable roadmap to start you on your journey to fitness. From there you can move into preparation stage and with the help of your coach, set a date to move into action. Our job as personal trainers and coaches is to guide you from your current starting point to action and ultimately maintenance stages. So how can we do that? We take your large goals and break them down to smaller stepping stone goals leading you to your ultimate goal. We help you look at your overall schedule and figure out where you can squeeze a workout in. We help you lay out your workouts for the week or month and plan around any upcoming challenges. We teach and prepare you for unexpected challenges. We can help teach you to fight back against your excuses. We can be the person who holds you accountable for completing your workouts. We push you out of your comfort zone to prove to you that you CAN do more. Priority: We can’t be with you 24/7 and force you to complete your workouts. The ultimate motivation and drive has to come from YOU. We can give you all the tools and tricks in our arsenal, but if you don’t make your health a priority in your life, it will easily be tossed aside to something else you’d rather do. Find out what drives you and use that to motivate yourself. Schedule: Add your workout to your personal calendar or daily to do list like you would any other appointment or meeting. You’ll be less likely to book over the time slot if it’s already filled. Make it a game: There’s a bunch of fun apps out there that can take your mind off the fact that you’re working out. One example: An app called “Zombies, Run!” Simulates zombies chasing you. You’ll hear their footsteps and breathing speed and slow in interval patterns that trigger you to run faster or slower so the zombies don’t catch you. Try classes: They are actual scheduled events and provide motivation from teachers and others around you. Programs like MyFitnessPal allow you to compete with your friends for the number of steps you do in a day. Set a goal to run a 5k, do x amount of push-ups, etc. You’ll meet new friends and have a commitment you can’t miss out on. Go for family bike rides, walks, hikes, play a game of tag, etc. Short workouts can be just as effective. Almost everyone can squeeze in 20 minutes somewhere in the day! Several 10-15min workouts throughout the day can sometimes be more beneficial than one longer one. New to working out? Start with committing yourself to just 3 days a week. Add a 4th day as a bonus day. Add fitness to the most convenient part of your day. Figure out what time of day will work best. Create a weekly or monthly fitness plan and add it to your calendar. That way, if something does come up, you’ll have a visual of the rest of the week to see how you can accommodate changes to your schedule. See if your employer will allow for some flexibility in your work hours. Maybe your employer will let you take a longer lunch in exchange for coming in earlier and/or staying later. Or they’ll let you come in late or leave early in exchange for staying late or coming in earlier. If you’re not 100% committed to adding fitness to your life, you’ll always be able to find an excuse to skip your workout. Stay positive and focus on the things you CAN do, no matter how small, to begin to make the change. Be patient with yourself. Change doesn’t happen overnight, adding something new takes time and commitment. 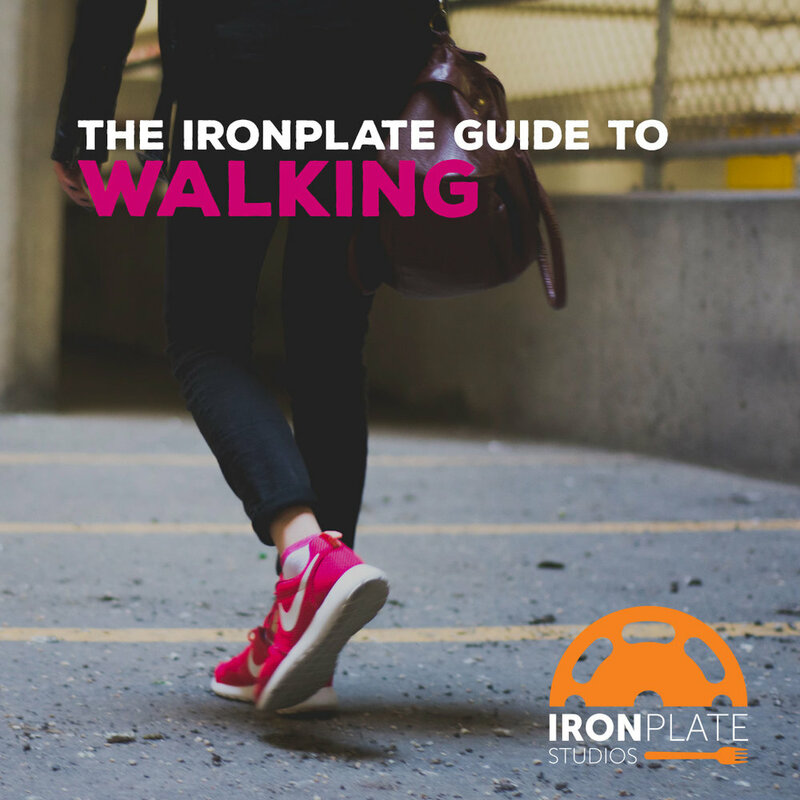 Consult with your IronPlate Trainer either online or in person to help get you set up on the right track. Eating out at restaurants with your friends or family is one of life’s pleasures, and it can also be a crucial part of your professional life. You shouldn’t have to give up or avoid eating out because of your new healthy lifestyle. You can still enjoy dining out, while being mindful of what you eat if you follow these simple tips. Take a look at the menu online ahead of time. This will give you time to sort through the menu free of distractions or outside pressure. Ask your trainer to take a look with you to come up with some healthy options together. Look for keywords* that can help you make the best decisions on your meal. Don't skip meals the day of to save calories. Doing so will most likely cause you to overeat later. If you eat as you normally would throughout the day, you won't be thinking with your stomach and you'll be able to make better choices. The water will make you feel good and slightly full, helping you to make better choices. This is the important part. Stay STRONG! Choose carefully. You can have a meal that is both delicious and healthy! Don't fill up on the free appetizers (tortilla chips, bread, etc). This is where not coming to the restaurant starving will come in. Do fill up on salads and vegetables. Do ask for dressing on the side. Meals do not need to be exactly as they appear on the menu. Ask for double veggies instead of starchy side. Ask or look for Grilled instead of fried, Lettuce wrap instead of a bun or bread, etc. Don't feel the need to clear your plate. Most restaurants offer much larger portions than needed. Alcohol is an easy way to pack on the calories without even realizing it. If you must consume alcohol, choose lower calorie options such as spritzer or drinks mixed with Seltzer water. Drink a glass of water in between each alcoholic drink. 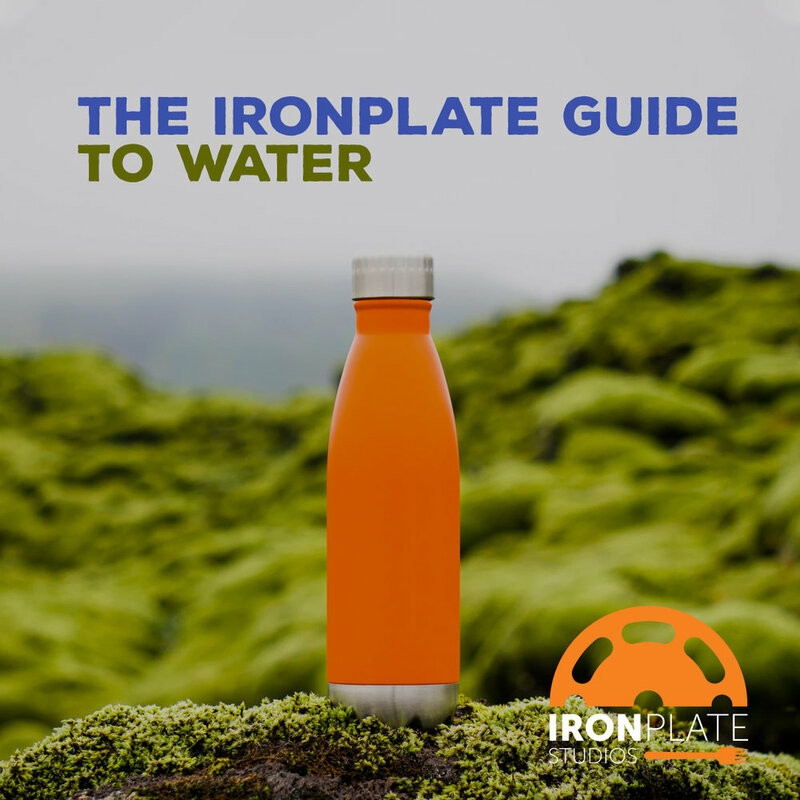 This will both slow your consumption of alcohol down and keep you hydrated. Look for a sorbet, fruit cup, skim cappuccino, herbal tea. Don’t go straight to bed when you get home. Give your body a time to digest the food you have eaten. It doesn’t digest well when you are asleep and you may feel even more hungry in the morning as a result. Do enjoy a brisk walk to burn off a few of those calories you’ve just consumed and some fresh air to refresh your mind. *If you find yourself grabbing a spontaneous bite to eat, don’t panic and don’t use it as an excuse to blow off all of your hard work. Take a look at the key words below. Preparing yourself with these key words and the tips above, will help you navigate the menu to make the best possible choices available to you. Adding something new to your well-oiled routine is a challenge at first, but with consistency, over time, it becomes another habit of your daily life. This is also true for adding exercise or making changes in your diet. Change is hard, but if you are ready for it, there are steps you can take to make it easier. In 2002, researchers at New Mexico State University studied 266 individuals who worked out at least three times a week. They wanted to know why these individuals exercised regularly and continued to keep it as part of their routine despite anything else that was happening in their lives. Each individual had a variety of reasons for beginning their routine; to relieve stress, finally had free time, get healthier, etc., however, the reason 92% of them continued to exercise was that it made them “feel good”. Their bodies craved the reward of the increased endorphins and/or sense of accomplishment they felt tracking their continued progress. (2) What does it take to get to the point of craving the reward? You have to be in the right mindset to be able to make a change. You need to have a strong desire for this change to be part of your life. Do you really care about this habit? If yes, why? What is your motivation? Our body prefers to make things easier for us. When something is habit, or routine we do it without thinking. Adding something new to a routine requires us to be aware of our actions, which is challenging at first. Because of this, we tend to come up with all kinds of excuses as to why something won’t work. Shifting your focus from reasons you can’t do something, to what you can do with the resources available to you, will help you limit your excuses. What is your reward for the behavior you are adding? Do you feel good after your exercise or eat a healthy meal?, Feel less stressed?, Have more energy?, Feel more satisfied with your new diet? Find out what it is that gives you satisfaction during the behavior as well as once it’s complete. This is your reward. Example: You are trying to eat better but are meeting friends out for dinner or drinks. Before you go, don’t deprive yourself of enjoyment, but set preplanned limits for yourself. Maybe you will only have two drinks, or you’ll avoid the drinks but have dessert, or appetizers, etc. Make peace with the decision you have made so you don’t feel guilty later. It’s OK to indulge in small doses, part of this process is learning what is worth the enjoyment and what isn’t. Be careful not to let peer pressure increase your limits when you get there. This can make you feel guilty and trigger “all or nothing” response causing you to overindulge. This goes hand in hand with #4. If you’re trying to eat better, don’t stand around the food table at a party and announce to everyone nearby: “I shouldn’t be eating this” or “I’m only allowing myself to have…” or “I can’t have those, I’m trying to…insert excuse here…”. These statements welcome comments from your peers such as: “Oh live a little!”, “A little won’t hurt you!” etc. You’ll find that very few people are going to be supportive of your statements and consciously or unconsciously try to talk you out of your preplanned limits. Once you’ve made your decision stick with it, don’t make a huge deal out of it and you’ll find people won’t notice or judge your actions either way. For your behavior to become a habit, all of 3 of these must happen each time the behavior is performed. For this example, our new desired habit will be working out before work. In the winter set the thermostat so the room is warmer by the time your alarm goes off. You’ll be more likely to get out of bed if you’re not freezing when you wake up. Create a chart to check off once your workout is completed. Leave it in a place you will see multiple times a day. Schedule your workout on the calendar, similar to how you would another meeting. Your current routine is, alarm, shower, breakfast, and then work. New routine will be: alarm, workout, shower, breakfast and then work. Get up at same time every day regardless of whether you’re working out or not. Eventually your body will adapt and you will routinely be ready for that early AM workout. **This may be trial and error to find what works for you. Consult with your trainer, friends or family for suggestions and support! You have performed the new behavior. Take note of how you feel before, during and after. What is your reward for completing your behavior? Feeling of accomplishment? Happy to be done for the day? Better mood? Increased strength? Better sleep? What is yours? Write it down. Eventually this is what your body will desire and crave cuing you to continue your behavior. It’s important that despite everything, you continue to repeat this loop until your habit is formed. You don’t have to be all or nothing however. If time is an issue one day, even an abridged version of your routine will be helpful making your new behavior a habit. For example: If you have an early meeting and can’t do your originally scheduled workout, try at least a modified version. Do a couple push-ups, squats and/or sit-ups quick before jumping the shower. This helps cue the brain that your loop is still intact. Loop: Alarm, workout, shower, breakfast, and then work. Sometimes when creating a new habit we aren’t aware of all the parts that are involved in making it routine. Something such as starting a new job is always awkward at first and can take up to 6months or longer for us to feel comfortable and familiar. We keep at it because we have to, in order to get our paycheck (the reward) to pay for the things we need. Prioritizing time to work on diet and exercise as an important part of your day will help it become something you soon won’t have to think about but automatically do. If you’re serious about making a change in any aspect of your life, know that time, hard work, and consistency are key. If you stick with it, the reward will be a new involuntary habit. When we think of Halloween, the first things that come to mind are candy, costumes and trick or treating. For those trying to lose weight or stick to their healthy diet, this time of year can be torturous. Temptations and reminders of Halloween treats seem to be everywhere we look… seemingly starting earlier and earlier each year. Instead of dreading all the temptations, use the holiday as a fun way to get creative with the things you eat! Here are some tips on how to survive Halloween, as well as some pictures (courtesy of Pinterest) of fun ideas to bring to your next Halloween party, classroom or even to make at home for family and friends. Wait until the day of trick or treating to buy the candy you’re going to hand out. That way it won’t be a temptation in your house for longer than it needs to be. Worst case you have to stop handing out candy a little early. Best case, you’ll be left with much less. This way you won’t be tempted to eat it before or after you hand it out. Check with your local food banks. Make a conscious decision prior to buying candy or going to an event on what you are going to allow yourself to eat and stick to it.